Cinerarias (Pericallis x hybrida) are compact plants that explode with starry blossoms in shades of white, pink, red, purple or blue. You'll see these plants at florists and supermarkets from January through April. 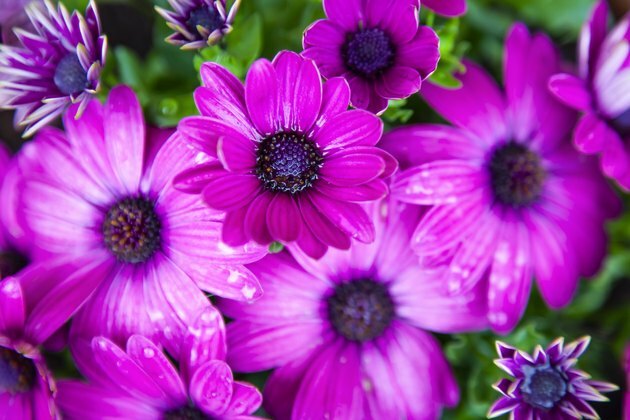 They typically don't last long, but proper care can extend the life of your cineraria plant. Cinerarias grow as perennials only in the cool-summer coastal areas of U.S. Department of Agriculture plant hardiness zones 9b through 10b. Elsewhere, they're short-lived but spectacular flowering houseplants. In the garden or in the house, cinerarias demand specific care and growing conditions. Ideal soil for outdoor growth of these plants is acidic, moist and organically rich while also offering good drainage. You'll need to amend your soil if it's a heavy clay soil. Add organically rich compost to the soil to create a more suitable environment. If you grow it as a houseplant, choose a commercial potting soil mix designed for indoor plants. Pick a spot with plenty of light for your cineraria plant. They can grow in partial shade to full sun, although they often grow best in areas with bright, indirect light. Outdoor cinerarias need occasional fertilizer. A dose of slow-release, granular 10-10-10 or 14-14-14 fertilizer every three to four months, or at the manufacturer's suggested frequency, provides sufficient nitrogen for their leaves, phosphorus for their flowers and strong roots, and potassium for their roots. Spread the fertilizer evenly around the plants at the rate of 1/4 cup per 10 square feet of soil, scratch it lightly into the surface, and water it in. Don't feed indoor cinerarias. They're greenhouse-fertilized to produce four to six weeks of blooms. No matter what you do, they won't perform an encore. Enjoy the show and then discard them. Thirsty cinerarias wilt and die without quick intervention. Overwatered ones often develop root rot. Strive for consistently moist soil by checking daily and watering them from beneath, without wetting their leaves or crowns. To revive a wilted indoor cineraria, submerge its pot to the rim in a bucket or sink of lukewarm water. After the bubbles stop rising to the water's surface, wait a few minutes and then let the plant drain completely. Keep it out of sun while it recovers. If it doesn't, it has root rot and needs to be thrown out. Cinerarias do best between 55 and 65 degrees Fahrenheit during the day, falling to 45 to 55 F at night. 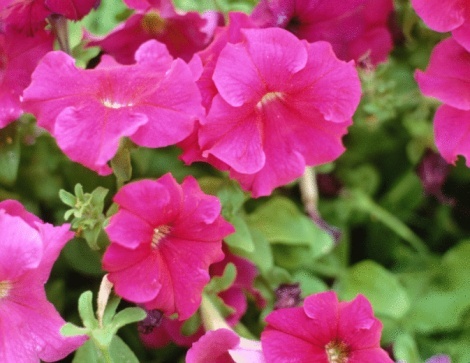 Higher temperatures and bright light fade their leaves and make quick work of their flowers. For the best performance, put indoor plants in a north-facing window getting a few hours of filtered light each day. Garden cinerarias thrive on the north sides of structures, under overhangs or beneath open-canopied trees. If frost is expected, shelter unprotected plants with sheet-draped bamboo stakes. Remove the covering before the sun heats them. Cinerarias often have problems with sap-sucking aphids, thrips, spider mites and whiteflies. These pests drain the plants' vigor, cover them with waste or unsightly webbing, and spread with abandon. Spraying with nontoxic, ready-to-use insecticidal soap until the solution drips from the leaves may control an infestation. Repeat the treatment weekly or at the manufacturer's suggested frequency, and follow the label's precautions concerning protective clothing. Overcrowding, excessively humid nights and wet leaves expose cinerarias to fungal leaf spot diseases, gray mold and powdery mildew. To discourage the diseases, space the plants for good air circulation, and water early in the day so they dry before nightfall. Pinching off cinerarias' spent blossoms maximizes the number of their flowers and the length of their blooming period. Garden plants pruned to the ground after flowering sprout in fall and bloom again in spring or early summer. Sterilize pruning and cutting tools by wiping them with a cloth soaked in rubbing alcohol.